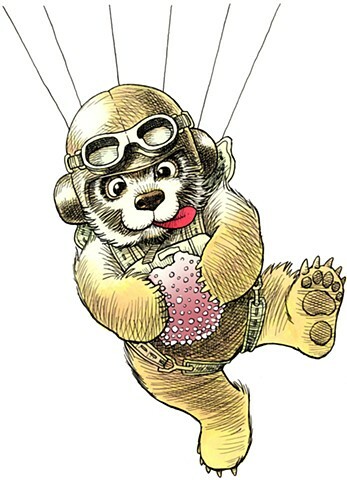 Gum Drop Bears parachute out of gum drop trees. This is used as a book cover in the film. Not to be confused with 'The Gumnut Babies'.